You've been trying to lose weight for months, or maybe even years. You finally drop enough to fit into those jeans you wore in college, but sooner than later, you can't even slip them over your thighs again. Why does losing weight have to be so hard? Here are some difficult things you'll need to swallow in order to lose the weight and keep it off for good. While many people lose weight ditching carbs or going on a liquid diet, these methods can't last forever. These diets are often not nutritionally sound, or so restrictive you end up binging on all the foods you crave. Plus, when you hit your goal weight and go back to old ways of eating, the weight often comes back. Losing weight and keeping it off is all about making a lifestyle change. That means figuring out a healthy diet that can be maintained for the rest of your life. What's been proven to work is a diet full of fruits and veggies, whole grains, and lean proteins. Of course you're allowed to cheat every once in a while — and it can actually help diminish cravings — but indulgences should be in moderation. It'll take some getting used to, but soon you'll adapt to your new healthy way of eating and wonder how you ever used to down cheeseburgers, soda, and cookies every day. Losing weight and keeping it off is about basic math: calories in cannot exceed the amount of calories the body uses up. And to lose weight, you'll need to create a calorie deficit. Counting calories may seem strict, but if you don't keep track of how much you eat, you may never reach your goal weight. Start by talking with your doctor about how much weight you want to lose, and he or she can help you figure out an appropriate daily calorie amount. Over time, these changes will stick, allowing you to not be so stringent on keeping a detailed food and exercise journal. Many find success writing down their daily diet in a food journal, or with a website like CalorieKing, which logs the calorie amounts for food eaten. If you like to cook, plug your recipe into this Calorie Count tool and you can keep track of how many calories your favorite mac n' cheese contains. There are also weight loss apps that make counting calories even easier. You'll need ways to keep track of portion sizes too, and here are some great products you can use at home and on-the-go. You'll also want to arm yourself with calorie-saving tricks for eating out, when you hit happy hour, and during the weekend, as well as learn some creative food-swapping tricks to save calories. 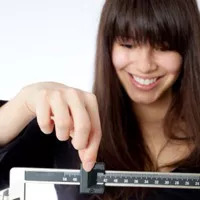 A healthy diet is key to losing weight, but if you have more than a few pounds to lose that alone isn't the most effective way to get you to your goal weight. You'll have to incorporate exercise as well, and I don't mean just a walk around the block. Most recommendations say that to lose weight, you must exercise for at least an hour a day, five times a week. We're talking the kind that gets your heart rate up such as running, biking, or a cardio class at the gym. An hour may seem like a lot, but once you carve out that time in your schedule, it'll be something you look forward to every day. If boredom is your complaint, here are some ways to switch up your cardio routine and keep you excited about working out. Aside from burning calories, exercising will also give you muscles, which boosts your metabolism and helps you burn more calories. It'll also give your body some definition, making weight loss even more noticeable. Exercising can also be a way to feel good about indulging — if you go on a two-hour hike, you'll know you can enjoy dessert after dinner without a side of guilt. Exercising regularly is just as important as eating right, and once you adapt both to your life, losing weight and keeping it off will be a breeze.